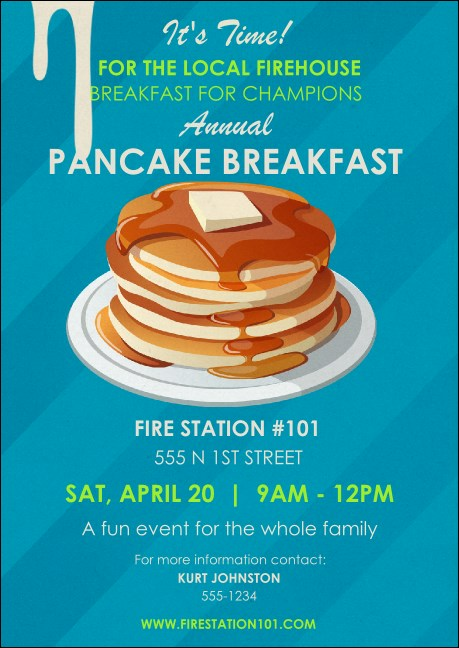 If you've got a big appetite for promotion but want to use just a little space, hand out the Pancake Breakfast Club Flyer before your next community gathering. Thirteen generous lines give you enough room for your event details, all on a pretty blue backdrop with a delicious stack of flapjacks in the middle. Yum! Make a big statement in a small space with the right club flyer from TicketPrinting.com.